is a comprehensive eBook written by award-winning and internationally featured film director, Nathaniel Connella. Nathaniel has been continuously traveling and filming around the world for the last three years. From multiple Vimeo Staff Picks, to features by National Geographic, BBC Travel, Lonely Planet, Condé Nast Traveler and more, he has created work for national boards of tourism, luxury tour agencies and some of the worlds most prestigious hospitality companies like Park Hyatt and The Luxury Collection. Without an understanding of the absolute basics, making your first travel film can feel overwhelming and daunting. This book is designed specifically for beginner’s, to give you the terminology and understanding of the entire process of making a travel film. You will be guided through creating your initial concept to filming, editing and final delivery, as well as a look inside Nathaniel’s process and technique for capturing beautiful and authentic moments of the people and places you visit. 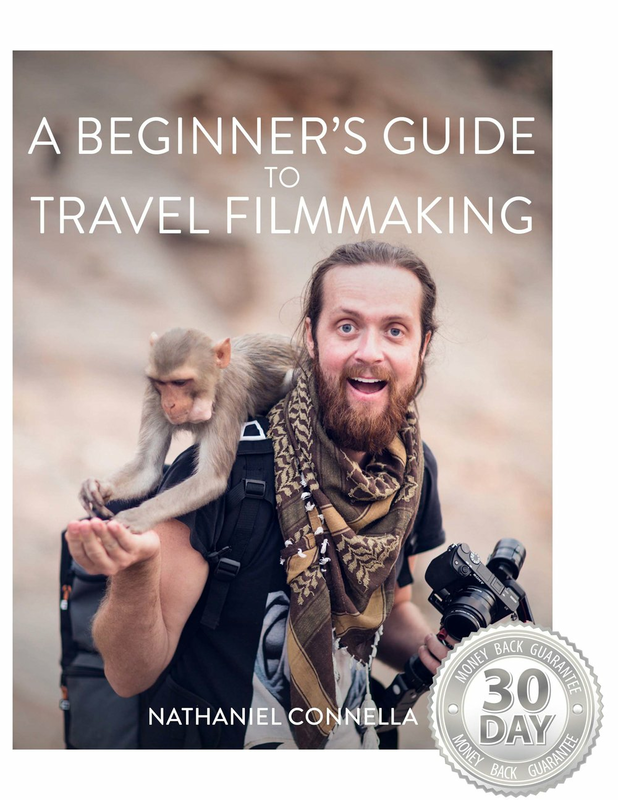 Packed with photos and tips from an experienced filmmaker, this book will explain everything you need to know in a way that is easy to understand so that you can either begin making your first travel film or take your upcoming project to the next level. Also available as a deluxe version, which includes access to a private Facebook group where you can continue your learning by asking questions directly of the author and have the chance to share your work for constructive feedback. 100% 30-Day Money Back Guarantee on iPad & PDF versions. Purchase on Amazon for your Kindle or Fire Tablet.